**Not ready to commit to a whole container? For $10 you can order a sample pack that will let you try a few flavors - and it includes a $5 off coupon for a full size container! Preheat oven to 350 degrees Fahrenheit. Prepare a cookie sheet with a piece of parchment paper or a silicone nonstick mat. 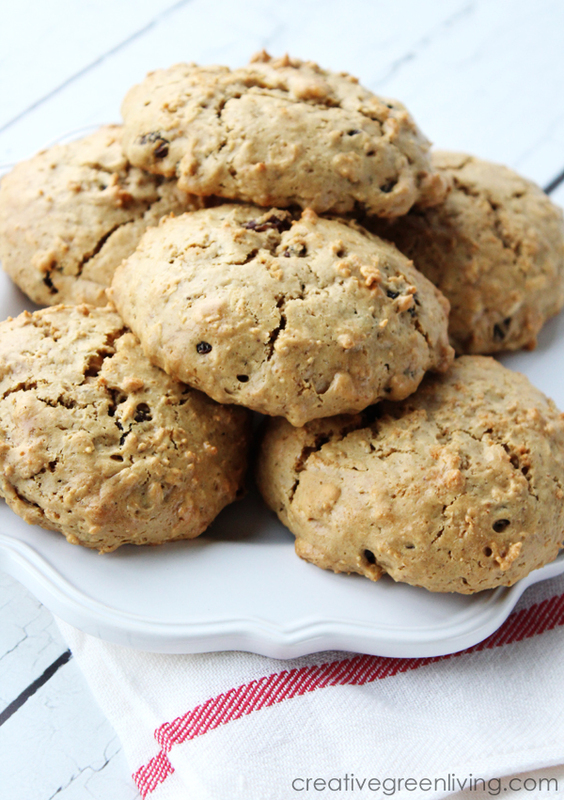 Put all ingredients except raisins in the bowl of a stand mixer and mix with the mixing paddle attachment until well blended. Allow to sit for 10 minutes. After sitting for 10 minutes, mix in raisins. Bake for 10-15 minutes at 350 degrees Fahrenheit. Remove from oven and allow to cool before serving. 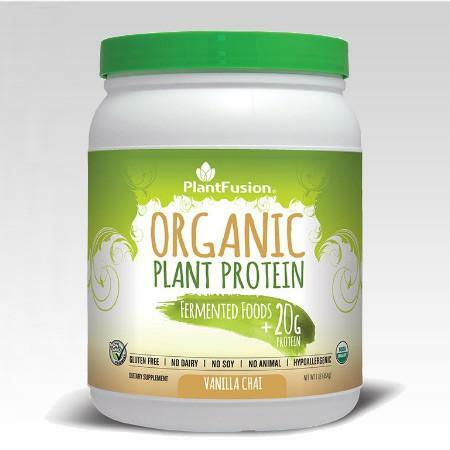 To try PlantFusion protein, go here to order your sample pack which includes a $5 off coupon for the purchase of a full size product. Exclusive offer for Creative Green Living readers! For a limited time, PlantFusion is giving away a free sample pack + shaker bottle every week for the next month to Creative Green Living readers! 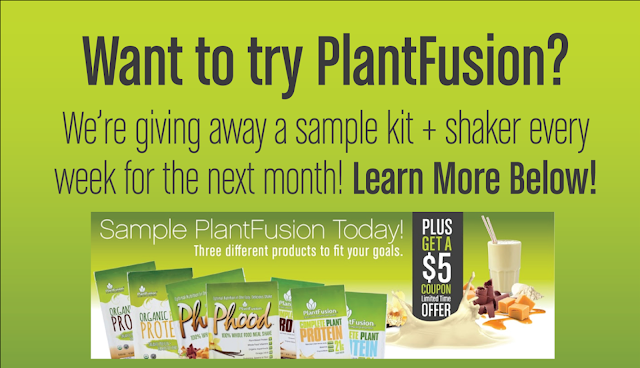 If you don't want to wait to win, you can also order a PlantFusion $10 sample kit here! 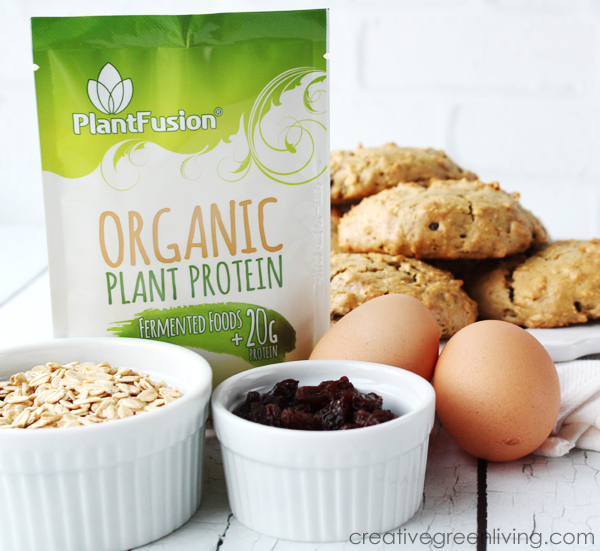 I've seen a lot of people online asking if you can use protein powder in baking and I'm happy to say the answer after some extensive testing is YES (for PlantFusion anyway - no promises about anyone else's protein). I spent several days baking batch after batch of protein cookies and I think what I've come up with here is pretty awesome! 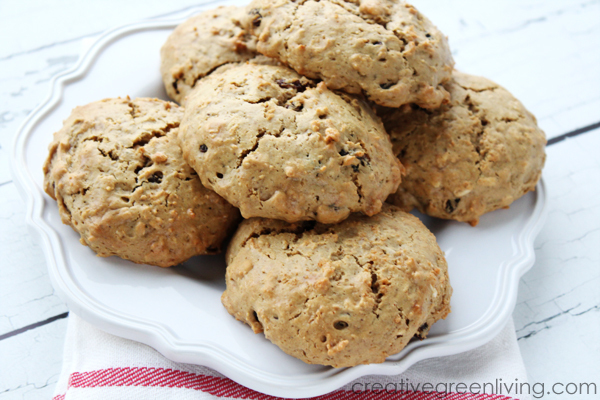 They have a great peanut butter oatmeal cookie flavor and boast a whopping 11 grams of protein! These would make a great afternoon snack when you need something with sticking power. If you don't normally eat breakfast, these would be a great alternative to help fuel you without having to eat a whole plate of food. Put all ingredients except raisins in the bowl of a stand mixer and mix with the mixing paddle attachment until well blended. Allow to sit for 10 minutes. After 10 minutes, mix in raisins. 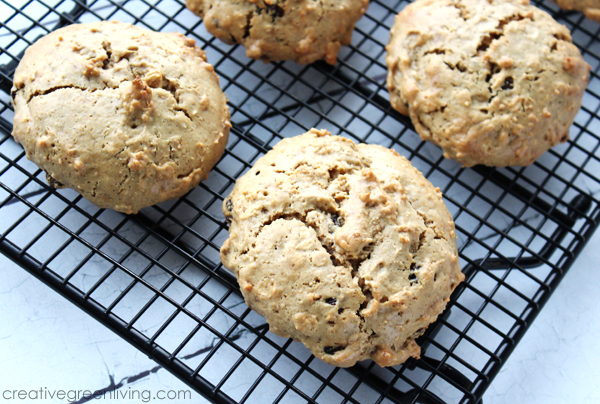 These cookies are gluten free when made with gluten free rolled oats. This recipe was sponsored by PlantFusion. 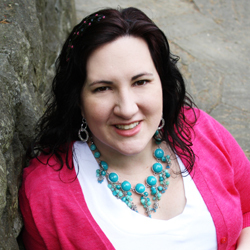 Carissa is a green lifestyle expert and mom of two boys. 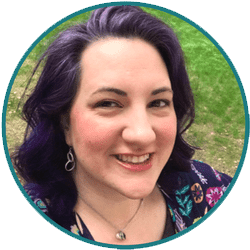 The owner and lead writer for Creative Green Living, she is also the author of Beautiful Smoothie Bowls (Skyhorse, 2017). 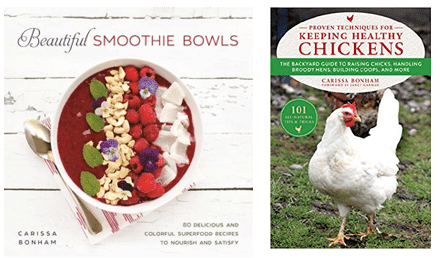 You can also find her recipes in periodicals like Urban Farm Magazine. Her goal is to empower families to make healthier choices that are easy, taste great and are fun! Sponsored post disclosure: This post was sponsored by PlantFusion. This recipe and all opinions expressed are 100% mine and reflect my authentic experience with this brand. I only recommend products I personally enjoy and think my readers will as well. For more information, see my full sponsored post and review policy. These looks and sound so good. My older sons would love the fact that their high protein. I'm going to have to give these a try. They look delicious! I can't wait to give them a try. I would use this protein in smoothies!! These cookies look awesome.